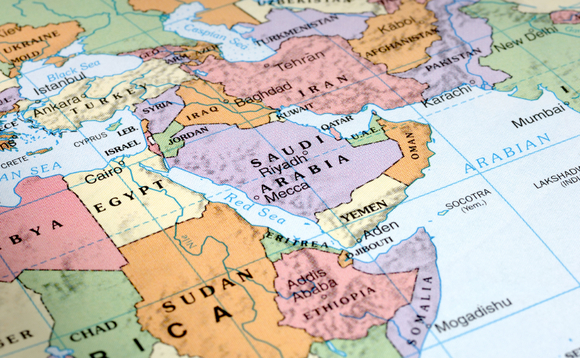 Baring Asset Management (Barings) foresees “excellent opportunities for investors who understand the nuances of local markets” in the Middle East and North Africa (MENA). According to the firm, MENA has one ot the fastest-growing populations in the world – with one in five between 15 and 24 years old. Barings recommends companies offering exposure to structural growth sectors such as private healthcare and consumption as well as firms providing education and training. The Baring MENA fund has celebrated its fifth anniversary in March, and over that period, has returned 52.8% on a cumulative basis, equivalent to a compound annual growth rate of 8.85%. Over the 12-month period to December 2014, the fund returned 13%, outperforming its benchmark, which returned 8.9% over the same period. Ghadir Abu Leil-Cooper, head of the EMEA and Global Frontier Markets Equity Team and manager of the Baring MENA fund, comments: “Over the past five years, we have seen significant political and demographic changes across the MENA region. The start of this year has seen oil prices reach lows not seen since 2009 but we expect that the resulting increase in equity market volatility will be temporary. “Continued investment in key areas should help sustain domestic economic activity, which in turn should benefit companies including Gulf Co-operation Council (GCC) markets. “Diversification away from the oil sector is something that most MENA economies are aiming for. There is already a balance between oil exporting and oil importing countries within MENA but the importance of becoming less dependent on oil is clear, especially given the recent moves in the oil price,” he says. Leil-Cooper mentions examples such as Dubai becoming a “successful tourism and services hub” and “the increase in religious tourism”.